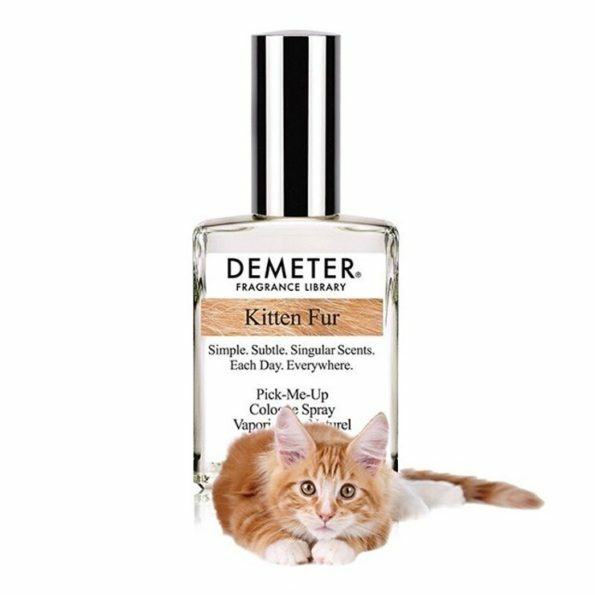 Demeter brings us Kitten Fur Perfume. The product description says the company has been working to perfect the scent for 15 years. It’s meant to smell like the spot behind a kitten’s neck. Oh yeah — we all know the spot. That’s the good stuff. The company’s also selling Kitten Fur Body Lotion. And Kitten Fur Shower Gel. Plus Kitten Fur Massage Oil. Basically anything you want to put on your body to make it smell like kittens, they’ve got it. Except actual kittens. I did not see anything about buying actual kittens.